The gallery has been updated with pictures of Yvonne at the 76th Annual Golden Globe Awards. She looked gorgeous! Sadly she did not win in her category. Big thanks to my friends Maria and Victoria for some of the photos. 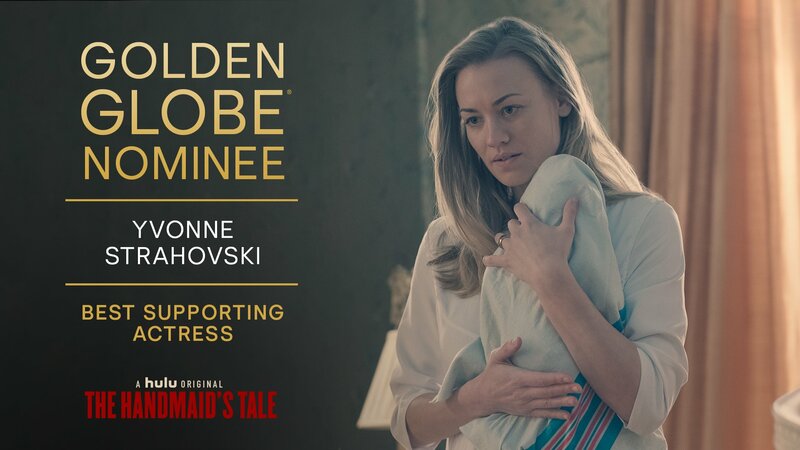 Yvonne has been nominated for a Golden Globe for Best Supporting Actress for “The Handmaid’s Tale”! Congratulations to Yvonne on her well-deserved nomination!! Last week Yvonne attended the 2018 Hulu Holiday Party. She looked lovely! The gallery has been updated with pictures of her at the party. Yvonne is in attendance at the 70th Annual Emmy Awards this evening. She is nominated for Best Support Actress! Fingers crossed she wins. She deserves it! The gallery has been updated with pictures of her at the awards. She looks absolutely gorgeous! More pictures will be added later. Yesterday Yvonne attended a screening of her film “The Predator”. The gallery has been updated with pictures of her at the screening. She looked beautiful!